IPI Executive Director Barbara Trionfi addresses the opening ceremony of the 2018 IPI World Congress in Abuja, Nigeria, on June 21, 2018. Photo: Alma Onali/IPI. 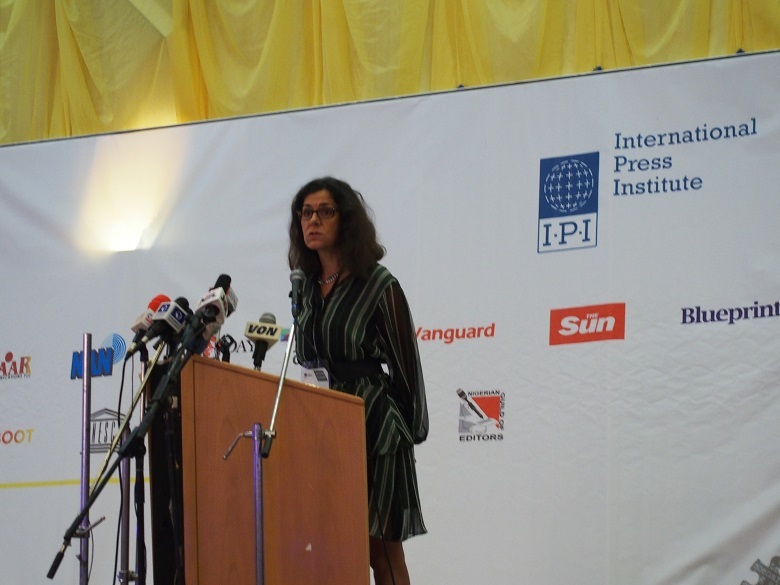 International Press Institute (IPI) Executive Director Barbara Trionfi addressed participants at the opening ceremony of IPI’s 2018 World Congress in Abuja, Nigeria on June 21, 2018. The full text of her remarks is reproduced below. As we gather here today from 40 different countries to open IPI’s 67th World Congress, there is a sense that independent journalism is under attack and that press freedom has eroded all over the world. From Mexico to the Philippines, from Zimbabwe to Turkey, from Russia to Ethiopia, journalists are being imprisoned, they are denied access to justice, they are threatened and insulted on social media, they are directly targeted and labelled as traitors and enemies of the state, and they are killed, shot dead in front of their houses, on their way to work, by killers who know that murdering journalists is the easiest way to silence them and ensure that the stories of corruptions they were investigating, the wrongdoings they had uncovered, will never be revealed. But as journalism is under attack, the journalist community has been coming together in unprecedented solidarity. Editors, publishers, journalists are increasingly aware that the future of journalism depends on the support they receive from their audiences and from their communities. That if we cannot convince our readers and viewers and listeners that quality, independent journalism is a valuable good, one they should cherish and defend and fight for, it will be very easy for those who want to silence critical journalism to do so. At least 43 journalists have been killed so far in 2018, in places like Afghanistan, Mexico, India, Pakistan or the Philippines, to mention a few. The latest murder in India has targeted a friend of IPI, a person who was close to some IPI Board and staff members. Syed Shujaat Bukhari, editor-in-chief of the daily Rising Star, was shot dead outside his office by three unidentified men riding a motorbike in India’s Kashmir province. Shujaat was a proponent of peace in strife-torn Kashmir and had been living under police protection since a previous attempt to kill him in the year 2000. But perpetrators in India, a country where attacks against journalists have been on the rise, know that they will never be brought to justice. 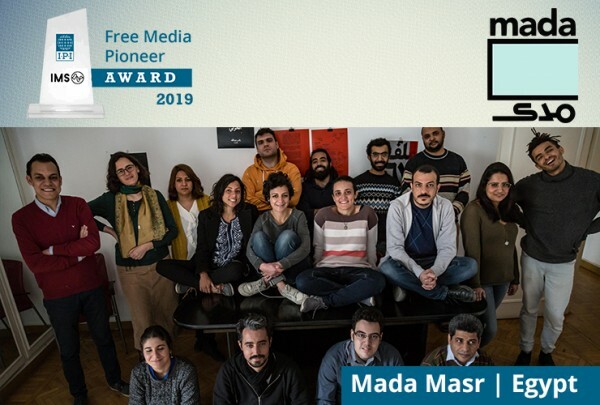 It is when editors and journalists like Shujaat, or like Jan Kuciak in Slovakia, and Daphne Caruana Galizia in Malta, are killed, brave journalists who continued doing their work in spite of attacks and threats, incredible persons, close friends. When they are killed, we realize how much society loses every time a journalist’s voice is silenced and we know that we cannot accept this. 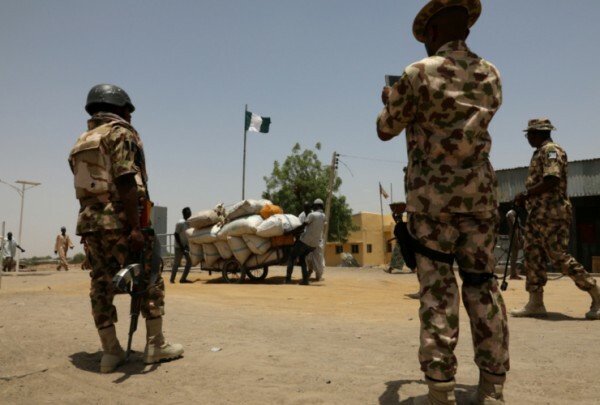 Here in Nigeria, too, a country with a very lively news media industry, which enjoys a good degree of press freedom, safety has been a serious problem for journalists, not only for those covering the areas where insurgents are active, but also for journalists covering corruption. In expressing immense appreciation for the commitment expressed by many representatives of the Nigerian government, in particular His Excellency Information Minister Lai Mohammed, I would like to humbly ask you, Mr. President, esteemed Ministers, to do everything in your power to ensure that attacks against journalists are properly investigated. This IPI World Congress was made possible by those individuals, news organizations and other institutions who have come together to organize this event because they believe that press freedom and independent, public interest journalism need to be supported by all of us in any way we can. I would like to thank them for their incredible work! The IPI World Congress is the gathering of those who have chosen to join hands to fight against anybody who wants to silence the press. This is your Congress.